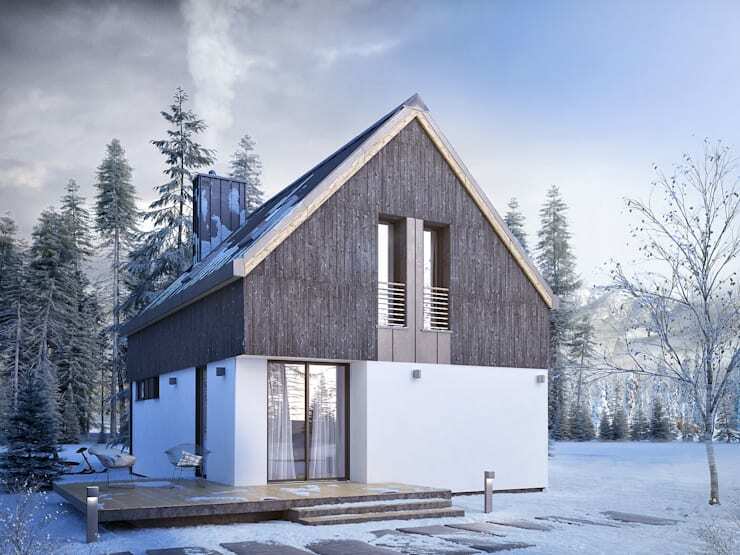 Today we are going to visit a gorgeous home in Poland, designed by architect professionals Biuro Projektowe MTM Styl. 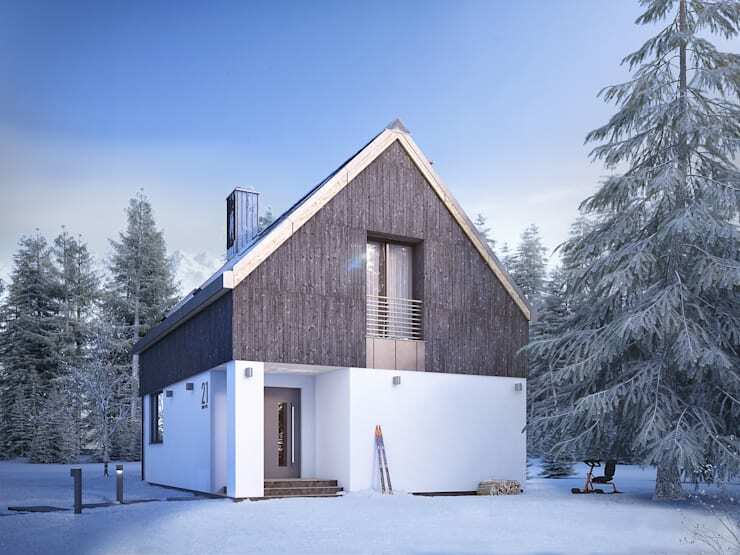 While this project is a rendering, it is a wonderful example of just how special and homely a little house can be, especially when it works in harmony with the environment that surrounds it. You'll also get a chance to examine the architect's plans and see for yourself exactly what they have planned for this gorgeous creation. From the get go, we can see just how charming and impressive this little home is. It features a smooth white plastered wall, with wooden cladding on the second level. 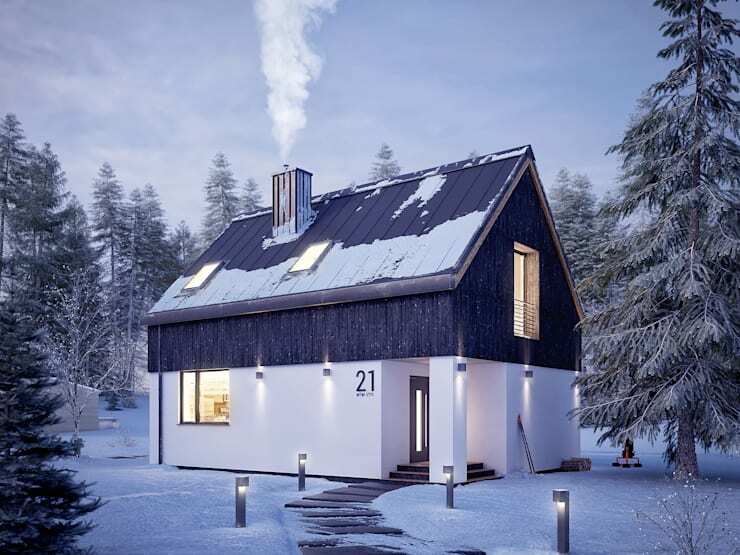 A traditional gable roof houses a chimney – the perfect cherry on top of this exterior design. The white walls complement the more earthy and natural tones of the upper level. A 21 adds a modern touch to the traditional, country cottage look and feel and clearly shows visitors that they've found the right house! A garden paths leads visitors and guests to the warm and welcoming entrance – a great addition to any home. At the back of the house, we come across a quaint little wooden terrace, complete with comfortable and cozy armchairs where the family can relax and admire the surrounding views or enjoy the fresh air. Both the upper level and lower level feature large glass windows and doors, creating a wonderful connection between the interior and exterior spaces. There are also skylights in the roof, which allow natural light to flow into the home throughout the day, warming up the interiors – a great tip! The designers have made provision for strategical lighting throughout the exterior space. These little lights not only enhance and illuminate the facade, but they ensure that the outdoors is safe to come home to at night. Visitors, family and friends can find their way in the dark! It also means that if the kids are outside when the sun sets, the parents can keep an eye on them. Have a look at these outdoor lighting ideas for modern houses for some more ideas on how you would include outdoor lighting in your home. 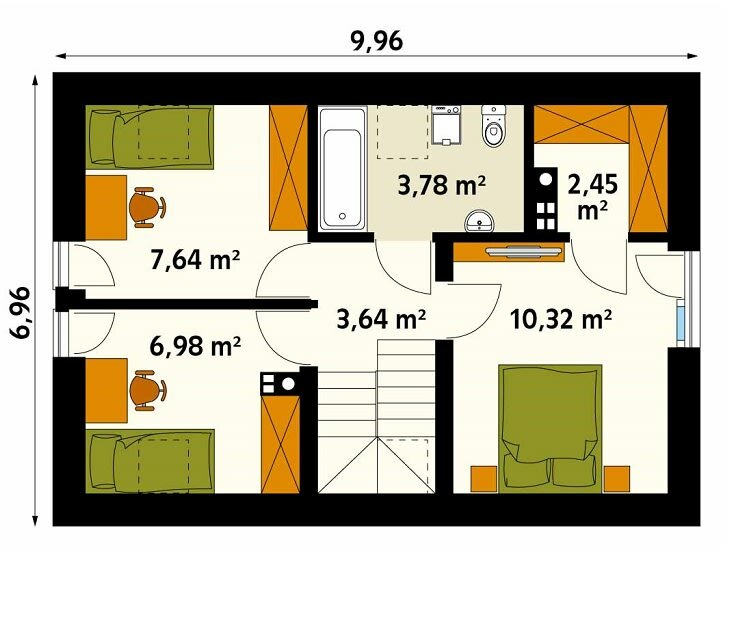 This image clearly shows us what the designers had planned for the bottom level of the home. We can see how the kitchen, dining room and living room flow into one another in a modern, open-plan design. This will make the interior space seem very spacious. We can also see where the staircase is, which connects the two floors as well as where the architects have planned for a small guest bathroom. Are you able to read this plan? 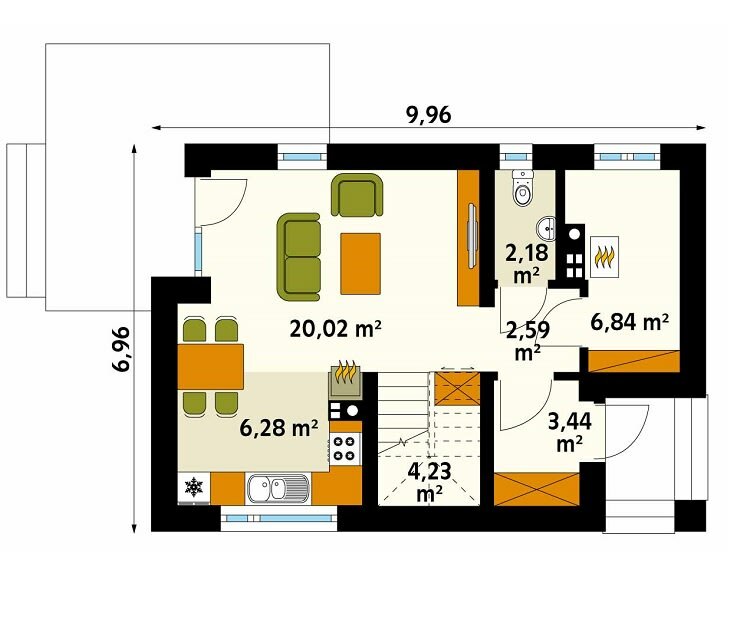 This image shows us the three-bedrooms on the upper level of the house as well as the bathroom. We can even see which way the doors will open as well as where the windows are positioned. These types of drawings as well as the renderings that we saw in the previous image are very important as they allow architects and clients to get a clear sense of what the end result will look like. If you've enjoyed exploring this project, you'll love these 4 Modern Houses With Floor Plans You Can Copy. Are you impressed with this little home?